The Cannon County Library System was recently awarded a state grant. The money, $16,076, will be used to provide computers and Internet access. 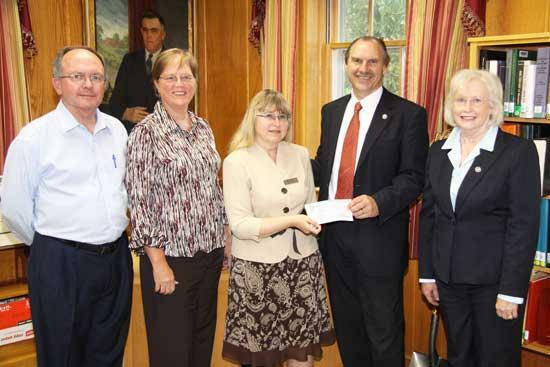 Attending the presentation of the check recently were, from left, Cannon County Executice Mike Gannon, Chairman of the Library Board of Trustees Angela Ott, Librarian Rita Allen, State Rep. Mark Pody and State Sen. Mae Beavers.